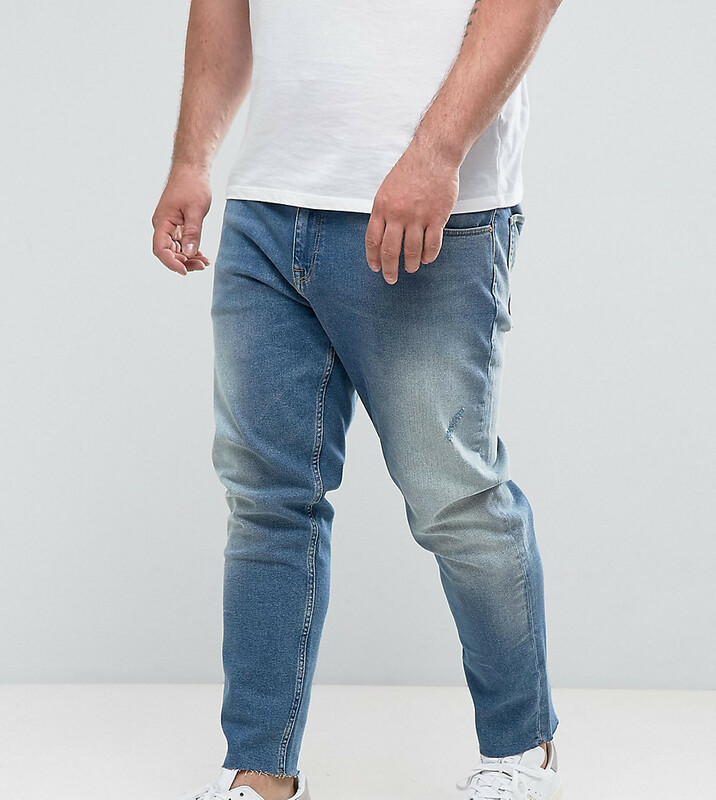 If you're in search of a casual yet seriously stylish ensemble, try teaming a charcoal hoodie with ASOS DESIGN asos plus slim jeans in vintage mid wash with abrasions. Both pieces are totally comfortable and will look great paired together. 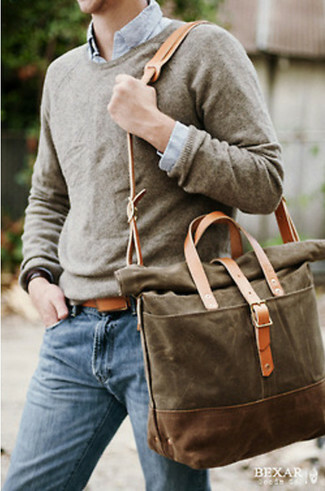 If you're hunting for a casual yet sharp outfit, consider wearing a grey crew-neck sweater and blue jeans. Both pieces are totally comfortable and will look great paired together. Contrary to what you might believe, being a dapper dude doesn't take that much time. 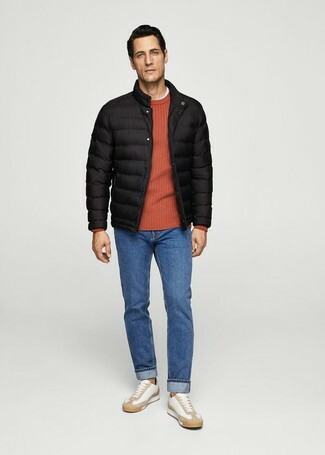 Just try teaming a black puffer jacket with ASOS DESIGN asos plus slim jeans in vintage mid wash with abrasions and you'll look amazing. Throw in a pair of white leather low top sneakers to make the ensemble more current. Contrary to what you might believe, being a dapper dude doesn't take that much the place of work. Just marry a black blazer with ASOS DESIGN asos plus slim jeans in vintage mid wash with abrasions and you'll look awesome. Bring instant glamour to your look with black leather derby shoes. 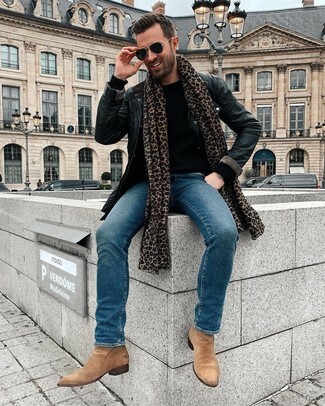 If you're on a mission for a casual yet on-trend look, opt for a white denim jacket and ASOS DESIGN asos plus slim jeans in vintage mid wash with abrasions. Both pieces are totally comfortable and will look great paired together. When it comes to shoes, this ensemble pairs really well with navy canvas espadrilles. If you're all about relaxed dressing when it comes to your personal style, you'll love this on-trend combination of an olive lightweight parka and ASOS DESIGN asos plus slim jeans in vintage mid wash with abrasions. When it comes to footwear, this outfit is finished off wonderfully with brown leather high top sneakers. 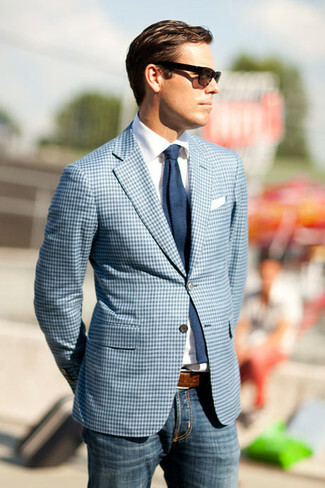 This combination of a light blue gingham blazer and ASOS DESIGN asos plus slim jeans in vintage mid wash with abrasions is clean, sharp and very easy to imitate. This casual pairing of a black leather barn jacket and blue jeans is a surefire option when you need to look nice but have no time to spare. 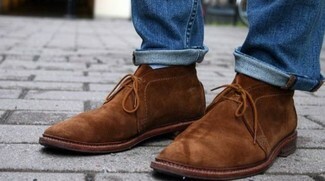 You can get a little creative in the shoe department and complement this ensemble with tan suede chelsea boots.